Tedtalks are short talks about many diverse topics that often include new and interesting ideas! In this jungle of amazing presentations are some examples of ideas that make you a better business owner and/or blogger. I first got introduced to Tedtalks by English teacher who made us watch them practise our English. Since then I have seen many Tedtalks and I love finding new interesting ideas in them. What is the key to coming up with great original ideas? It might not be what you think it is! Can asking for help be a good thing? Hear her amazing story and experience and feel inspired to ask for help the next time you need it! I think this one I found so very inspiring because we are all afraid to ask sometimes! What happens in your brain when you are procrastinating? Amazing and funny talk on procrastinating! Does motivation actually works how you think it work? How can you empower yourself & What is the key to having self motivation? Why do we not have the things we want in live? And how to change the mindset that got us there! Are you on the right path to success? How can you be productive without being stressed about it? Find out amazing ideas in this talk! Self confidence is great for your business. How can you inspire it in yourself and others? Finally, how to believe in yourself! These where my favourite ted-talks and I have watched most of them more then once! For me they inspire me to learn new skills and change my mind set. 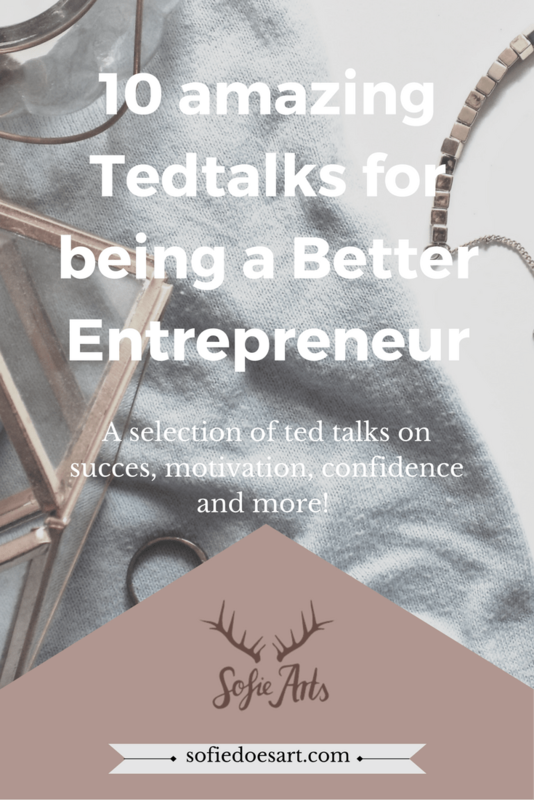 Let me know if you think I have missed a great talk and which one your favourite is!